Rapid is the wrong word. Dyer, an out and out left-wing, who began his career with West Brom, is incisive, direct and quicker than anyone else in the league. In the past season there has been more end product giving Leicester a genuine threat either from the start or against tiring legs as a late substitute. Still doing it at the City Ground, Reid has always had a wand for a left foot. Something of a cult hero in Nottingham, his movement around the field has never been anything to write home about but his ability to influence the play from the centre circle is what persuaded Spurs to sign him all those years ago. Excellent over a dead ball, he has demonstrated this year that he is now a far more mature individual, assisting with the development of those around him. 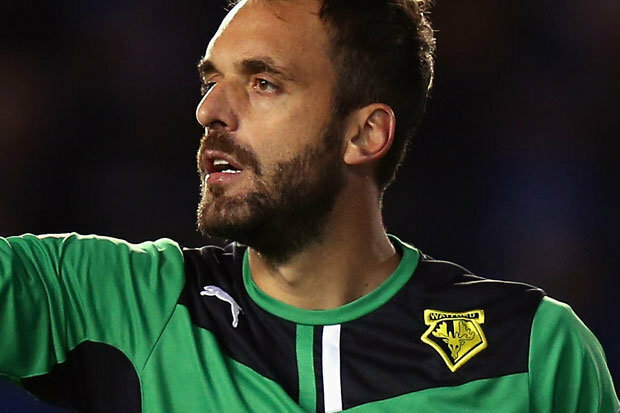 It is not that long since Almunia was the first choice keeper at a Champions League club. He was not always the most consistent while at Arsenal, but he has proven himself at Vicarage Road to some extent. Capable of the odd moment (as Alan Davies puts it) of ‘morris dancing’, Almunia is a fine shot stopper, and has more recently proven to be the type of man young players look to. Becoming a real leader. Moore has moved forward significantly as a footballer this season with more regular starts next to Wes Morgan. Leicester have built their success so far on their attacking flair, but at the back they have one of the best pairings at centre half now too. He is quicker than he looks, strong in the air and his reading of situations is getting better weekly. A Leicester fan and a local hero, Fulham have just had a bid rejected for him. Maguire is an outstanding prospect who will play in the Premier League whether he gets there with Sheffield United or not. Having made his debut at 18 he has already played over 100 times for his only club in the centre of defence. Manchester United (both pre and post Ferguson) have been linked with the 20-year-old. 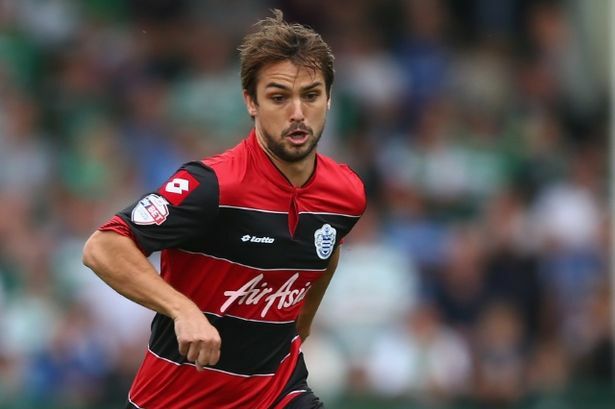 QPR have conceded just 15 goals in 25 league games this season. They’re not exactly Baresi and Costacurta, but they are nearly as experienced. Dunn and Hill have provided the bedrock on which Harry Redknapp has been able to mask a worrying lack of goals this season. Old uns, but good uns. While his almost-name-sake left on deadline day in the summer to join Everton, McArthur remained with the club despite relegation. He always looked good in the Premier League, and will surely play there again whether with Wigan or not. Another right back making the list, De Laet has finally found a home at the King Power following numerous loan spells. There is an almost permanent look of surprise on his face which would make his pieces of attacking excellence would seem to be fluke were it not the volume of them. A real fighter with an outstanding level of fitness who crosses well. This entry was posted in Analysis and opinion and tagged andy reid, championship, clint hill, harry maguire, harry redknapp, james McArthur, league one, leicester, manuel almunia, Niko Kranjcar, nottingham forest, qpr, richard dunne, sheffield united, Top 50 Football League Players, watford by Chris Francis. Bookmark the permalink.